No matter what anyone tells you, if you have a dream pursue it. You owe it to yourself to try. Why am I giving you a pep talk this Friday morning? Because I received one of the best emails I could have gotten not more than a year ago. 5 Prince Publishing gave me a shot and offered me my very first publishing contract. I had been pursuing being published for almost eight years at the time and was very close to giving up. Rejection letters were filling my inbox and it was getting harder and harder to continue pursuing the dream I’d had since I was a teenager. I’m glad I didn’t give up though and I really hope that you don’t either. If you are pursuing publication, I’d like to offer a few things that were helpful to me along the way. 1) Write the book you want to read. (I know, you’ve heard this before, but it’s true.) There’s no sense in writing a book that doesn’t interest you as the author. It will show through in your writing and you will get bored with it and probably will never finish the book. Write what you have a passion for. Write what you love and put your best foot forward. 2) Continue to learn. I can’t stress enough how important this is. Many writers will tell you that in order for your writing to get better you have to continue reading. This was probably the most helpful advice I’ve ever gotten. And don’t just think it’s about reading other people’s books, but read articles by bloggers. Read reviews of books on the New York Times Bestsellers list and also reviews of books that are independently published. Read author blogs and take classes. You will be surprised at how much your writing will benefit from it. 3) Remember you have other obligations. Yes, you love to write. You are the person that always has a pen and paper in your purse, backpack or in the console of your car. But remember, to look up every once in a while. Engage in conversations with others, especially your family. They are probably your support team and will cheer you on as you pursue your dream, but be mindful of their dreams as well. Don’t get tunnel vision. Every writer needs a muse and sometimes inspiration can hit while you’re swinging a nine iron on the 15th hole. 4) Be grateful for every experience. Each rejection letter or setback has something it can offer you. I remember getting my very first rejection and feeling horrible until I looked at it again through a friend’s eyes. What she saw was totally different from what I first saw. I saw NO. Your writing is not good enough and you’ll never be published. She saw, your writing has promise, but here are some suggestions that may help to advance your skills. I had to learn to look at this whole process differently and I’m glad I did. I’m really glad I didn’t give up and I’m really thankful to 5 Prince Publishing. Because of my persistence and their openness to give me a chance, I published my very first book, The Christmas Tree Guy in November 2014 and my second, A Secret To Keep is scheduled for release in June 2015. Stay the course. It’s truly worth it. Now her worst nightmare has come true. Her ex’s company has bought out the development company she’s working with on the biggest project of her life and she’s found herself face-to-face with the only man she’s ever loved and her son’s father. 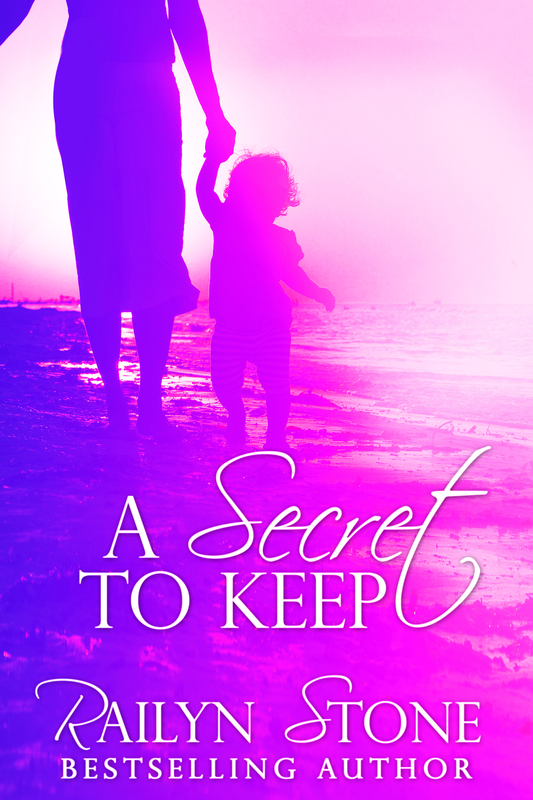 Enlisting some friends to help her keep her secret, Sloane realizes her mission is going to be harder than she thought because her feelings never went away. Gates McCall is a brash man. Blunt and to the point, he hasn’t always been this way, but when Sloane walks out on him, something inside him breaks. She’s the only woman that’s ever had an affect on him and the only one that has ever managed to break his heart. Something he vowed would never happen again. When his newest acquisition brings the two of them together again, he uses it to get back at her for the pain she caused him. Little does he know seeing her again will bring back a flood of memories and an unexpected surprise. All great tips, Railyn! Thanks for sharing. Congrats!!! Great advice, Railyn! And Congratulations on your 2nd book! !